This course is designed for students with intermediate Japanese language skills, who have studied at Japanese language schools for more than six months. 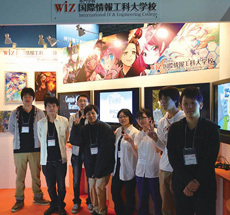 Students can take advantage of their skills to build their careers in IT and game industries in Japan. This three-year course is designed for international students who want to acquire IT skills and game programming skills and who want to learn Japanese! Students can learn programming in this course, using the two most high-demand programming languages: Java and C#. Join the world's largest game festival, TOKYO GAME SHOW! Students can participate in TOKYO GAME SHOW, an annual event for the industry and game fans, where game publishers in Japan and other countries exhibit and demonstrate their new games. 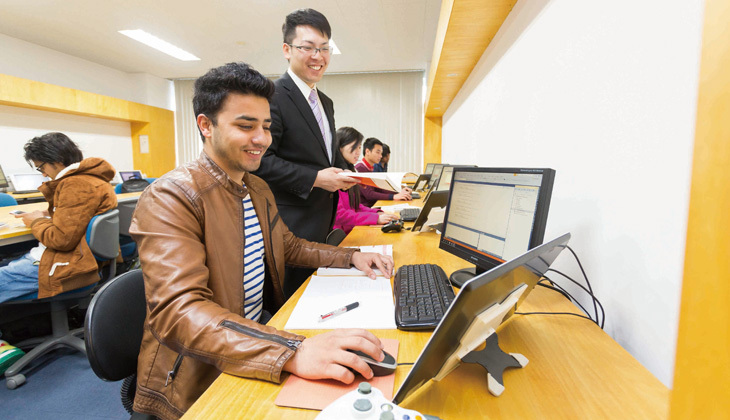 Our professional staff provide full support for students in certificate acquisition and Japanese skill improvement as well as their everyday lives. Let's aim at stepping into the ever-evolving IT industry!